Do you or your team have skills to tweak within your current certification skill sets? Want individual, personalized, professional assistance, and coaching with those tweaks? Want to have fun while seeing improvements? Then mentored diving may be for you. Mentored diving is not formal instruction; rather, we do some dives and you learn tips, tricks, and methods to enhance your diving in a casual setting, all while enjoying some great dives. Among other tools, your coach typically will use video analysis to accelerate improvement. Dive briefing and de-briefings will focus on your goals, skill set, identifying strengths and weaknesses, and ways to improve. Mentored diving can range from a single half a day to a series of multiple dive days over a week or a year, depending on your needs and goals. 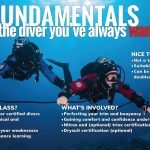 Improve your skills and have more fun on your dives! Mentoring packages are customized to each diver’s or team’s unique goals, experience, and availability. All dives are done within your current certification limits. 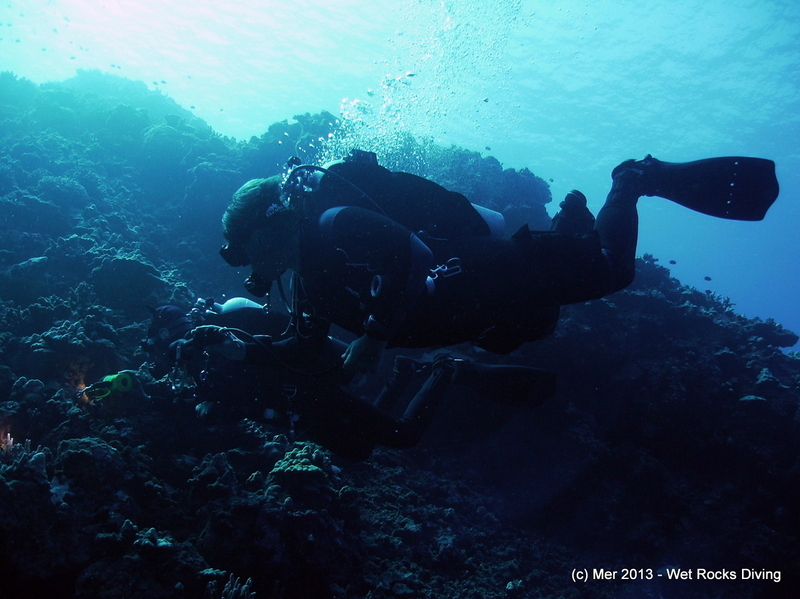 Mentoring can be combined with guided diving. Initial mentoring email consultation is complimentary. Mentored diving is available in North Florida and Kona, Hawaii; other locations by special arrangement. If your needs do not match Mer’s availability or experience, we will connect you with the appropriate dive professional.